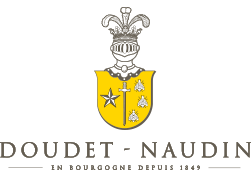 Founded in 1849 by Albert Brenot in Savigny-lès-Beaune, Doudet-Naudin is one of the oldest Burgundy wine Maisons. In 1933 it was acquired by the Doudet family, who have developed and expanded the Maison while preserving its fundamental values: respect for traditions and excellence. Christophe Rochet, the current head of Doudet-Naudin, is committed to maintaining the values of this well-respected Maison while restructuring it. For almost two centuries we have been producing great wines with a single goal: to reveal and highlight the Burgundy terroir while respecting the values that we hold dear: authenticity and quality.